Welcome aboard: Dalic meets Al Ain first-team players ahead of training. Just three days after Al Ain insisted Zlatko Dalic’s arrival had no bearing on the future of Quique Sanchez Flores, the Croatian replaced him as head coach until the end of the season. Dalic, who took training at the Khalifa International Stadium on Saturday night, was officially unveiled as the club’s technical supervisor last Wednesday in a move widely interpreted as weakening Sanchez Flores’ position. The Spaniard was expected to remain in charge for this week’s AFC Champions League trip to Jeddah to face Al Ittihad, but instead what had seemed inevitable for some time was finally confirmed. Sanchez Flores leaves the Arabian Gulf League (AGL) champions by mutual consent, less than six months into a two-year contract. The former Al Ahli coach paid the price for a disappointing run of form in the league since the turn of the year that has seen the Boss pick up just nine points from seven games and slip into the bottom half. There had been some reason for cheer in the cup competitions with the Boss reaching the final of the President’s Cup and making a victorious start to their AFC Champions League campaign. However, the 49-year-old was never able to win over the club’s supporters having replaced Jorge Fossati at the end of September and leaves the Garden City having won just six of 16 AGL games in charge. “The decision to terminate the contract of coach Quique does not reduce the efficiency that led Al Ain to the final of the President’s Cup, and the first win in the Asian Champions League,” Sheikh Abdullah bin Mohammed bin Khalid Al Nahyan, Al Ain chairman, said. Sheikh Abdullah said Dalic’s experience of football in the Gulf region – the Croat having previously coached Al Faisaly and Al Hilal in Saudi Arabia – had been an important factor in his appointment. Punished: Bangura's transfer to Nantes has landed the French club in hot water. 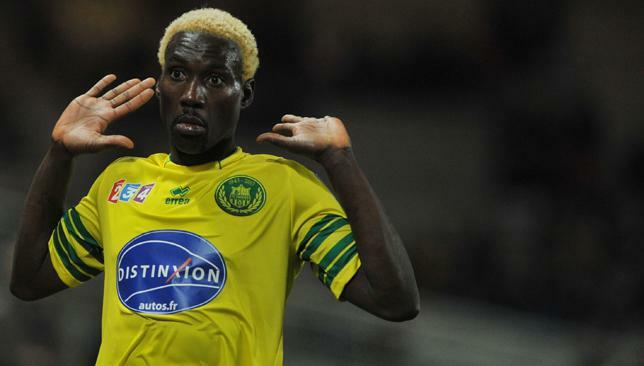 Ligue 1 side Nantes have been banned from signing any new players until the summer of 2015 after losing an appeal over the signing of Ismael Bangura from Arabian Gulf League club Al Nasr. Nantes were handed the punishment after FIFA sided with Al Nasr, who lodged a complaint that Guinea forward Bangura had breached his contract when he joined the French club in January 2012. FIFA initially gave Nantes the punishment in June 2013, but the sanction was lifted following the club’s decision to appeal the ban to the Swiss Federal Court. However, the Swiss Court upheld the decision on Friday, and Nantes have been ordered to pay the original fine of €4.5million to Al Nasr. Nantes are free to sell and release players, but cannot sign any until next summer. Al Nasr had previously described the incident as a “lesson to everyone" after it had taken over 12 months to settle the initial dispute. “This will be a lesson for us, and for any agent that tries to play against the club’s interest,” Nasr board member Fahad Hadi told Sport360. “The situation has been going on for a while and it wasn’t good at all for Al Nasr. Really, the decision was taken by FIFA and it shows the player’s agent can’t play with the club anymore. All possibilities are open: Khalifa Suleiman (l) and Zlatko Dalic. Al Ain Sports Sector Manager Khalifa Suleiman insists the appointment of Zlatko Dalic has no bearing on head coach Quique Sanchez Flores’ future, but admitted “all possibilities are open”. Former Al Hilal coach Dalic was confirmed as the Garden City’s new Technical Supervisor at the Khalifa International Stadium, although the length of his contract remained confidential. The Croat officially started work on Wednesday and will oversee the Boss’ elite academy sides for now, meaning he will have no direct contact with the first-team, reserves or perhaps crucially Sanchez Flores. However, Dalic has been in a similar position before, having been appointed as reserve team coach at Hilal in May, 2012, seven months before taking over the reins with the first team. “Mr Zlatko will be the supervisor of all the elite teams in the club’s academy,” Suleiman said. “All possibilities are open to him; but at the moment, for now tentatively he is responsible for supervising the elite teams. Nothing can be said about the first team as of now. Suleiman had used his opening speech at Wednesday’s unveiling to admit the club’s mistakes in handling the succession of former coach Cosmin Olaroiu, who departed for Al Ahli last summer. The board member apologised to supporters and insisted hard work was the only way out of their current malaise, although he pointedly added the Boss needed to hire “trainers not trainees”. Dalic’s arrival and his new boss’ assertion that “all possibilities are open” will only add fuel to the rumours of Sanchez Flores’ imminent demise. Suleiman, though, insisted the 47-year-old’s arrival was not designed to put any added pressure on the club’s head coach. “I was here in front of you one year ago [with Hilal], I am happy to be here again but not as an opponent but as a member of Al Ain Club. “I know what Al Ain means, it is a big club, I am very happy to be here. Thank you to the club for hiring me and giving me confidence.